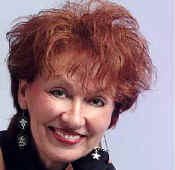 Nashville’s most noted authority on the science of IRIDOLOGY, Brenda brings a natural approach to whole body wellness. Utilizing non-traditional testing methods, she opens windows throughout the body to assist in the early discovery of pain, fatigue, stress and system irregularities. After carefully analyzing the test data, Brenda offers recommendations to improve the condition of the mental and physical aspects of the mind and body. Brenda is best known for the practice of IRIDOLOGY, which was developed in Germany over 150 years ago. IRIDOLOGY is a natural and drug-less system of analyzing and caring for the body throughout the study of the optic nerves within the iris of the eye. It reveals inflammation as it manifests throughout the body. Brenda, in addition to being a Certified Iridologist for 15 years. is also a Certified Natural Health Professional with an in depth understanding of restoring the body to optimum health. By providing a computerized assessment of your urine and saliva, the BTA gives valuable insight into your state of wellness and the critical imbalances in pH, oxidative stress and gross mineral concentration. With this unique tool, one can begin to target health issues at the cellular level. Developed in France over 100 years ago, the Biological Terrain Assessment has become a widely accepted and reputable form of science recognized by researchers, health care practitioners and nutritionists all over the world. Successful Weight Loss is another part of the program. Brenda has made it possible to determine your individual metabolism. This High Tech help for successful weight loss will help unlock the mystery of weight loss. What is your burn rate (RMR)? You will now be able to find out. Brenda is available for private appointments. She is also known for her teaching and professional speaking and is available for group seminars and lectures.